MIAMI LAKES, FLORIDA, UNITED STATES, March 8, 2019 /EINPresswire.com/ -- UndergroundStocks.com, an elite wall street independent small cap media group with a history of bringing lucrative opportunities, updates on International Spirits & Beverage Group, Inc. (OTC:ISBG). Besado is a premium tequila prestigiously blended with exotic herbs and flavors with a limited yearly production in small batches. Only the finest blue agave tequila is distilled three times and blended with our proprietary herbal infusion of Ginseng, Damiana, and Maca for an incredibly smooth and refined taste. 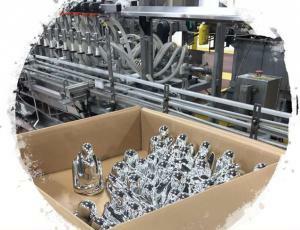 Each bottle is handcrafted, delicately filled and inspected for shape, beauty, quality and volume. The company tweeted on March 6, 2019 that they were running another production run of the famous Besado tequila. The big takeaway from this news tweeted by the company is that they are selling their famous Besado tequila rapidly. 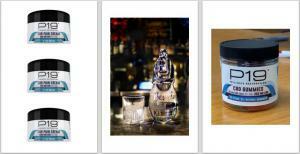 ISBG is currently selling its line of CBD products through their www.buyp19.com web site. 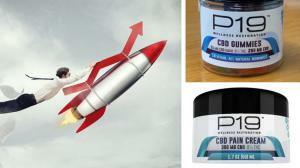 The company tweeted a major update “CBD P19 Gummies and CBD Pain Cream exceeding sales expectations.” ISBG CBD products seem to be selling at a fast pace as per company. If sales continue to explode just like the Besado tequila, we can expect the company to also have another production run on their CBD P19 line of products. You don’t have to be a scientist to know that if the company is running multiple production runs on their products that will only mean that their revenues are exploding. It will also mean that their PPS will show stock appreciation. This undervalued stock near its 52W low should be in everyone’s watchlist. ISBG’s current share structure is the following: AS 500,000,000 million, OS 317,776,138 million, Float 54,399,528 million. The market cap at the time of writing was $1,455,415 million. The current share price is $0.0045. Undergroundstocks.com is an elite wall street independent small cap media group with a history of bringing lucrative opportunities. We are well known for discovering undervalued companies and bringing them to the attention of the investment community. All information contained herein as well as on the Undergroundstocks.com website is obtained from sources believed to be reliable but not guaranteed to be accurate or all-inclusive. All material is for informational purposes only, is only the opinion of Undergroundstocks.com and should not be construed as an offer or solicitation to buy or sell securities. The information may include certain forward-looking statements, which may be affected by unforeseen circumstances and/or certain risks. Undergroundstocks.com and its associates may have a position either long or short in any company mentioned herein. Please consult an investment professional before investing in anything viewed within this article or any other portion of Undergroundstocks.com.